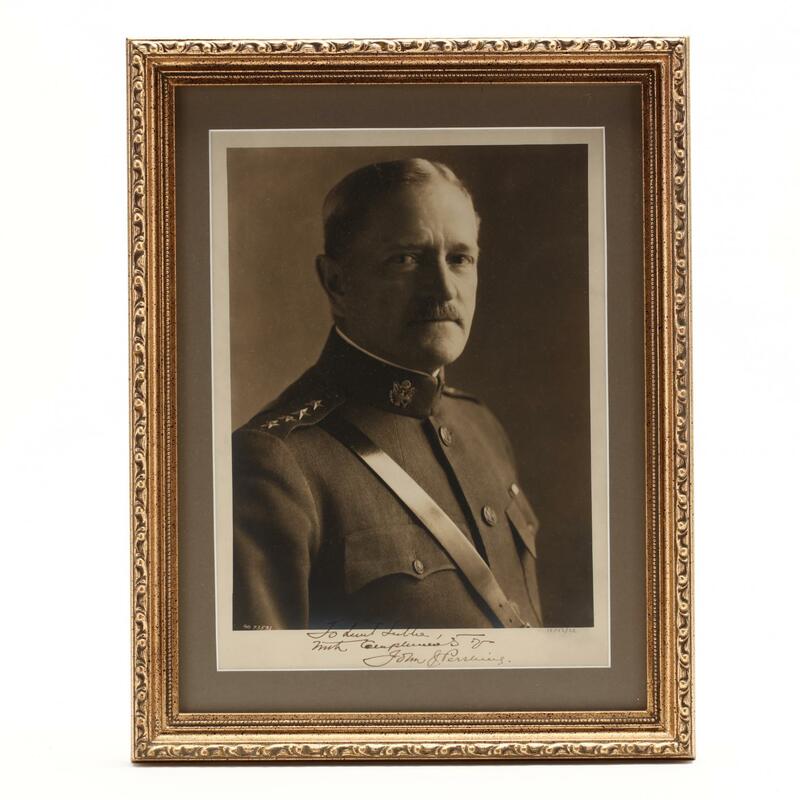 Striking matte-finish 11 x 14 bust portrait of Pershing in uniform, signed and inscribed in the lower border in fountain pen, dated 12/23/22 in lower right margin and inscribed "To Aunt Luttie, with compliments of John J. 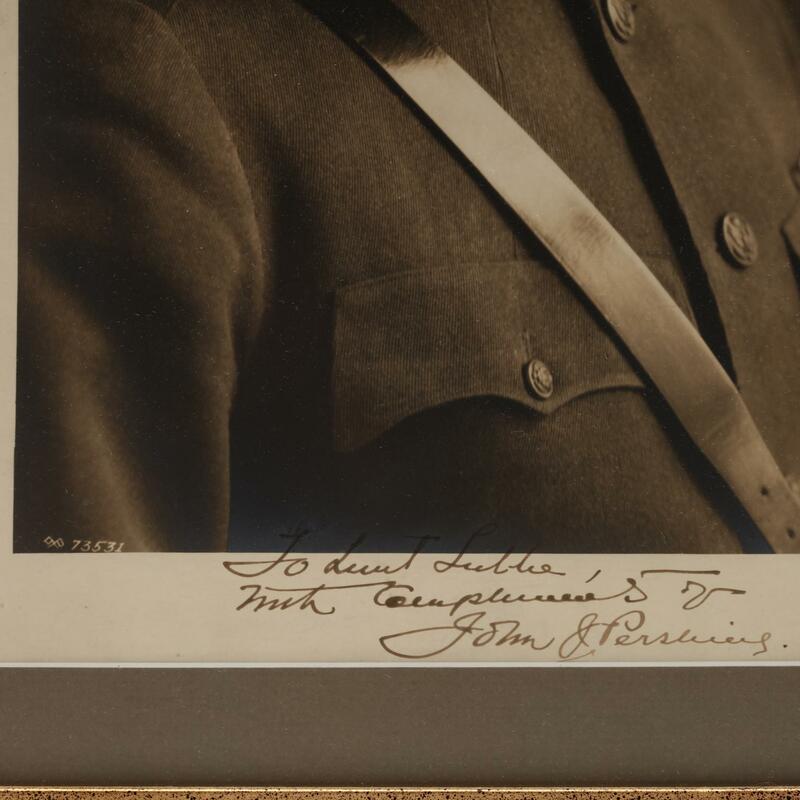 Pershing." Presented in gilt wooden frame fine condition.